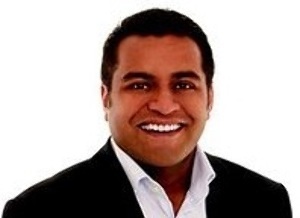 Commerce and Consumer Affairs Minister Kris Faafoi says he has not had any formal complaints about the composition of the working group developing financial advisers’ new code of conduct. Since the group was revealed, there have been questions about a lack of practising financial advisers among its number. It is chaired by Angus Dale-Jones, who comes from a regulatory background. Other members are consumer representatives Barbara Benson and Brian McCulloch, fund manager John Berry, ASB general counsel Graeme Edwards, consultant Paul Mersi, AMP general manager of sales and advice Therese Singleton, and Forsyth Barr head of private client services Shane Edmond. The only AFA is Rebecca Vanderbom but she does not have a client-facing role. At the time it was suggested that the Ministry of Business, Innovation and Employment should rethink its appointment process and add an AFA. The working group had space for more members. That did not happen and as the working group has progressed with its body of work, advisers have argued that it is producing standards that unfairly benefit big providers, at the expense of the small, independent part of the industry. The issue came to a head most recently when a comment by SiFA member Murray Weatherston prompted the working group to briefly boycott this media outlet and refuse to engage with Weatherston. Faafoi said he had not received any formal complaints about the make-up of the group. He said, under its terms of reference, the code working group must consult with any persons who are representative of the financial advice industry or consumers of financial advice and the group must give any person who will be affected by the code the opportunity to make submissions. This is political spin at it's best. "Faafoi said he had not received any formal complaints about the make-up of the group." I am sure this statement is strictly correct - no-one has bothered to make a formal complaint, in many cases I expect because of the belief a complaint would not make an iota of impact anyway. But you would have to have been unconscious for the last 8 months not to have noticed a reasonable amount of informal complaint. Do we have to formally complain before the pollies and officials will take any notice? Agree with Murray’s comment that Mr Faafoi would have to have been unconscious not to notice the problems with the CWG. I have had a few emails from him and it is pretty clear that either the emails are written by the MBIE or he is unconscious. This isn’t altogether surprising as he has no knowledge of the finance sector, I think he was a journalist prior to getting this job, so he will be highly reliant on the MBIE whom as we all know are at best inept and at worst captured. One strategy is to go above Faafoi’s head and communicate our concerns directly with more senior politicians who may be more conscious and thus aware that the bad behaviour that the CWG is facilitating is going to impact most NZ’ers and lower income Labour voters in particular. I have done that. There are lots of ways the industry can push back against this move and probably the best way is to ensure you never employ or deal with any of the organisations or individuals who are on the Code Committee again. That will send a message to individuals and organisations that if you act badly you will suffer financial consequences personally. Look at the organisations behind the people and make a note not to deal with them. Being on a Code Committee and doing the wrong thing should be a very bad career move – if you don’t agree with the way things are going resign now. Incidentally I was an expert witness in a court case against one of the organisations represented on the CWG some years ago and we won the case. The behaviour of the employees of that firm was particularly bad, totally conflicted, and they turned $10m into $3m at a time when markets were booming by putting their own interests ahead of those of their clients. I will write about this one day but in my opinion it is particularly ironic that a representative of that firm should be dictating what good behaviour looks like. Thank you Kris for welcoming direct formal complaints on the process. I assume we would submit these to your email which is listed on Labour's website? When reading the comments, I had a light-bulb moment that I was as guilty as anyone of grizzling without going the whole 9 yards. I note your quoted comment in this morning’s Good Returns article that you have not received any formal complaint about the composition of the Group. Please accept this complaint as breaking that duck. I believe that there will be a lot of sympathy with my views expressed by advisers at the cottage industry end of the financial advice market, probably more by a nod of their heads rather than putting their own pen to paper. I recognise that you did not appoint the committee. It was of course appointed by your predecessor in the previous National government. I have always believed and continue to believe the composition of the group is unfairly biased to what some of us have dubbed the Vertically Integrated Organisations (VIOs) or the big end of town (BEOT). A fair percentage of advisers in the wider financial advice sector who will be subject to this regulation practice in what might be called the cottage industry, i.e.small firms. I believe that there has been regulatory capture of all the agencies that come under your umbrella and that operate in our space - FMA, MBIE and CWG - by the VOIs and BEOT and their legal advisers. The current and proposed framework is in my opinion very favourable to VIOs as I have pointed out in many public statements. With respect to CWG I specifically exclude any comment about the two members with consumer and EDRS backgrounds, whom I know nothing about.. The sole outlier is a boutique fund manager. I don’t think many of the CWG have actual front-line financial advice experience. That is why I and many others hold the view that there is a major problem with the composition of the Code Working Group. I am happy to provide any further information you require if your staff would contact me. I intend to publish this email on Good returns. Well done Murray and Brent. Hopefully others will also be running with it and doing the same. Would be good to see industry associations doing so as well. Great feedback and reminds me of the old saying ‘dead leading the blind’. How can it be possible that not one member of the CWG is actually involved in dealing directly with clients. I was thinking of another saying about turning a blind eye but this just smacks of willful ignorance or incompetence. I said I sent my email to Minister Faafoi Friday morning. On Saturday morning I discovered it hadn't been sent so I quickly rectified that. Explanation for techies: I used to have vodafone email; my Outlook hooked into that. I got the Ministers email address via his website, which sent my message into my old Outlook. When vodafone pulled out, i switched back to Spark, but because I don't have my UFB with Spark, they wouldn't let me have more than the one email address I have had for years with Spark which I was allowed to keep when I shifted my broadband from them 10 years ago. ....I know too much information. Thank you Murray for contacting the minister and breaking the Duck. Hope Minister Faafoi can see the 'no brainer' and understand how having practical first hand experience on CWG would help him in his 'new' position and give true representation. Shouldn't be limited to one either. I agree Brent, if 'proven bad behaviour' in any context would be on my CV when being scrutinised or applying for a position on the CWG, then I wouldn't expect my application to be considered. As a long time member of the financial planning industry I don't expect to read that it was considered or that we are now guided by a representative of that organisation. How can we trust anything that comes out of the CWG? On Wednesday this week, after reading this article, I emailed the minister registering my complaint. I understand that you have said that you have not had any complaints about the composition of the Code Working Group. Please accept this email as a complaint. The members of the CWG clearly represent the Vertically Integrated Organisations . There is no representation of the several thousand practitioners who daily advise New Zealanders about their financial affairs. The VIO representatives have a clear agenda that is contrary to the best interests of independent advisers and consumers! I have seen a copy of the email that Murray Weatherston sent you and am in full agreement with all of his points. I have been a life insurance adviser (agent and broker) for 49 years. If the proposals currently under discussion are passed into law, I, amongst many others, will leave the adviser force. The result of the departures of a large number of mature advisers will be a significant reduction in availability of quality independent advice for the people of New Zealand. "Miranda Livapulu would like to recall the message, "Code Working Group for Financial Advisers"." I laid a formal complaint with Minister Faafoi on the 6th April, which was acknowledged by the Private Secretary, with a promise to come back to me soon. I have not had another response to date. I think there is an opportunity for advisers to make their voice heard about representation.